In the NHL, we’ve spent the better part of the last two decades knowing we could count on at least one simple truth: When it comes to the conferences, West was best. The conference boasted the best teams, and most of the best players. They didn’t always win the Stanley Cup, although they did win most of them. And even when they didn’t, it was the exception that proved the rule. Sure, an Eastern team won this year, we could say, but look how much easier their path to the final was. And maybe more importantly, the Western Conference just had the better style of play. 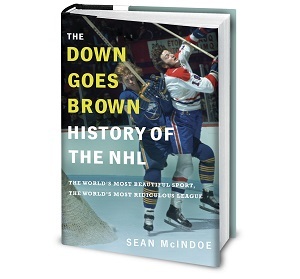 Whatever type of hockey you liked – bigger, faster, more offensive, more creative – you could point to the West and say that you saw it there. Eastern Conference action was fine most nights, but if you wanted to see the really good stuff, you had to stick around for the late show. In recent years, it started to feel like we'd all embraced the idea of Western superiority a little too tightly, as much out of force of habit as anything else. But the reality is that there was a lot of truth to the idea. When I crunched the numbers a few seasons ago, it was clear that the West really was dominating, and had been for years. But recently, the trend seems to be showing cracks. The East has won three straight Presidents' Trophies, and last year the Penguins finally snapped the Stanley Cup streak of the dominant Blackhawks/Kings tag team. And this year, early as it may be, there's really no comparison. The East has been the far better conference. You can see that trend at the top of any power rankings — including the ones in this column. The East is taking up most of the top spots, as teams like Montreal, New York Rangers and Pittsburgh churn along. That continues as you scan down the standings; Eastern teams hold down nine of the top eleven spots in terms of points, and each of the top four in terms of goals differential. Out west, which team would you really consider dominant? There are the Blackhawks, as always, although even their success has been accompanied by a sky-high PDO that has to come back to earth soon. Other than Chicago, there isn't a team in the conference that stands out. Setting loser points aside, eight teams in the East have at least two more wins than losses. In the West, only Chicago can make that claim. Meanwhile, the East is giving up its grip on the bottom of the standings, where its teams used to litter the lottery odds charts. So far this season, it's teams like the Flames, Coyotes and Canucks that are struggling at least as badly as the Sabres, Islanders or Hurricanes, if not worse. Again, it's still early, and a winning streak here or there can alter perception fairly quickly. But it sure looks like the East is headed towards finally staking a claim as the league's powerhouse conference, at least as far as the regular season goes. It sure took them long enough. The five teams that look like they're headed towards Stanley Cup favorite status. 5. Tampa Bay Lightning (12-6-1, plus-15 true goals differential*) – Doctors say that Steven Stamkos is out for anywhere between four and six months, so remember to look surprised when he just happens to be cleared to return to the lineup on the day of their first playoff game. 4. Pittsburgh Penguins (11-4-3, plus-2) – Their home-and-home showdown with the Rangers this week should go a long way towards sorting out the top of the Metro pecking order. 3. New York Rangers (13-5-1, plus-32) – Speaking of which, remember when home-and-homes between division rivals used to happen on back-to-back nights so you knew there'd be some bad blood? Sure glad the NHL got rid of that.